Just now, I read some Saivite and Vaishnavite books and also a few poems in Divyaprabandam of Vaishnavites. Both sects speak about ‘arusamayam’. Arusamayam stresses the need for unity of sects - must not indulge in mutual quarrel. This is also what Iswara wants. For both, God is the same - one is Vaishnava and the other Saivaite. The great Subrahmanya baktha, Arunagirinathar used to sing the praise of Subrahmanya at whichever place he visited and in all temples he would primarily sing about Muruga. He did not sing about either Shiva nor Vishnu separately though there may be references to them in his songs. Likewise, Alwars have praised Vishnu, though Shiva finds a place in their ‘pasurams’, not separately. So also Nayanmars have sung about Vishnu. Tyagaraja Swamigal, Muthuswamy Dikshitar and Sama Sastrigal are called the music trinity. Of them Sama Sastrigal, in all his compositions praised Devi Kamakshi only. Throughout his life, he would sing only about Ambal wherever he went. But Muthuswamy Dikshitar was different. To him, all Gods were equal. In Srirangam, he would praise Ranganathar. In Nagapattinam, about Ambal. In Tiruttani, about Subrahmanyar. Wherever he went, he sang in glory of the presiding deity. In the same way, Adi Sankara used to glorify the pradhana Swami of that kshetra. In Kasi, it is about Kasilingam, Pandurangan in Pandaripuram. Vishnu, Shiva, Rama. In fact it was his practice to sing about all the deities in a temple. In our nation, it was Azhwars and Nayanmars who were chiefly responsible for the growth of Shiva bhakti and Vishnu bhakti.Of course, Agama sastras have contributed their share. Azhwars and Nayanmars besides praying for the welfare of people and Iswara bhakti, have felt that ‘arusamayam’ must live in unity without bitterness. No doubt Shiva or Vishnu can be glorified. But they all believed that our God takes different forms and blesses the people. In the Gita, Bhagavan also says in a similar vein: “In whatever manner a man does a pooja with devotion, I am present there. Only I receive that pooja’. In a grove many trees grow but each tree does not hinder the growth of another. Likewise, all sects do pray for amity. Hence it is the duty of all to contribute to the growth of all faiths. But sankhyam yogam,etc are the six in a different way,it used to be said. Adi Sankara established ‘Shanmatham’ . One is Vaishnavam. It has Paanchratra, Vaikhanasa agama differences. Saivism also has Shiva Bhakti,Devi bhakti, Kowmara bhakti. In Saiva siddantha, there are divisions –aga samayam, pura samyam. They are different. In pura samayam there are godless faiths. But Azhwars and Nayanmars have opined they will not confer sreyas. In Buddhism, and Jainism, no separate Iswara pooja. Sankhyam, though supportive of Vedic faiths, has no Iswara worship. Some religions not based on Vedic faiths do have worship of God - Islam and Christianity. Any faith without God worship with just some dharmic principles and atma gunas is not useful to us. Only if there is God worship and based on principles of dharma, will any faith be beneficial. We need not bother about such faiths which are not God-centric. Arusamayam means God-based sects. Adi Sankara has spoken only about such faiths as Arusamayam. Kapalikam is also Saivaism-based on God worship, but fierce Saivaism. Our mahans have prayed that the Arusamyam must be united without hatred of other faiths. Because of their prayers, we have gathered here to discuss our sastras and agamas. Those who follow God worship do so following principles prescribed in the Vedas. In our nation, there are various agamas like Paacharatram, Vaikhanasam and Sivagmam. In Sivagamam, Gaanapathyam, Kowmaram and Saktham are divisions. There are lakhs of agamas about these. We do not know the dates and authors and who worshipped them. Our minds do not have the strength to know them. Principles of Buddhism and Jainism are found in our sastras though they are outside Vedas. That is why some such followers of non-Vedic faiths have been invited to participate in this sadas. Nothing wrong in knowing about other faiths. In Tibet today even if its citizens wish to know about God, they cannot do so. Such persons have been driven out. They have their own sastras and ways of worship. So we have invited them to think and talk about them. This is an opportunity for them.. Some persons have come from Cambodia who say we were followers of your sastras but Buddhism has entered in the middle. They are familiar with the Ramayana. They are still remembering Seetha, Mandodari, though they are out of our minds. Further, though they follow a slightly different religion we can learn how much of our Vedic principles still remain there. Some here have a feeling - why invite Buddhists? Let us remember our sastras have referred to Buddhist ideology. Buddha has been included in our pantheon of Gods. Tibetans are now fish out of water - they are confused. So to offer them solace, they have been invited. They have great faith in our Vedic way of life. It was our desire to invite all with similar principles. Lack of time and foreign exchange problems stood in the way. However, some scholars have come. Further, some folk artistes also are assembled here. They narrate Mahabharatam by beating ‘udukku’ mainly in Ambal temples. By surprise coincidence the famous Ambal idol is here seated on a throne. Only because of Her blessings this sadas is being held. We must not fail to thank Her. I wish that we could have this kind of sadas every year. I don’t know Ambal’s wish. I even feel we should have such a sadas twice a year and conduct researches. At present, music enjoys a pride of place. Every year a distinguished vidwan is conferred a title – ‘Sangeetha Kalanidhi’. Likewise, the President of India honours Sanskrit scholars. In olden days, the Mysore Maharaja as also other kings honoured Vedic scholars and pundits in sastras. Likewise, artistes must be treated. It is my wish to do the same in this sadas. I hope Ambal will fulfil my wish. But She will do it if we give up our ego that I did this and that. Of late, functions are celebrated on these two compositions. Saivites have one pavai and vaishnavites another. Bhagavatham calls such a viratham as ‘Kathyayani viratham’. From puranas, we come to know that gopis observed kathyayani viratham. But prior to these two compositions sangam literature refers to one viratham called ‘Ambavadal’. It treats Ambal as a pavai and worships Her after a bath early morning. Similarly, Bhagavatham describes kathyayani virutham. Based on this, Tiruppavai and Tiruvempavai came into existence. To popularise this literature, a movement was started ten years ago by Srimatam. Of late, such functions are being held without my association. Government is also offering its help. I feel happy. Perhaps among this gathering there may be or may not be some who conduct such celebrations. Whatever it be, I want to give them a piece of my mind. Please celebrate it in the months of Margazhi and Thai for five days in a big pandal and invite villupattu artistes. In Margazhi competitions are held on Andal’s composition. Tiruppavai and prizes are distributed in Thai month. Along with this, our folk arts must be included. Invite agama scholars, shilpa sastra stalwarts. Let them speak on their specialities. Such a step will go a long way in reviving the arts. Whether or not Srimatam offers monetary help and whether or not Government supports them, such functions must be organised regularly. Thanks to the blessings of our ancients, these arts are surviving for tens of thousands years. Did anybody back them with money? Not at all. Only because of sheer love for the arts they still last so long. Maybe some continued to stick to the arts for a living. But mostly they carried on as a service to God. In former days, Rajas supported them. But now that Rajas are extinct, it is upto us to encourage them. As also build temples as per agama and shilpa sastras. On their own these scholars must participate in sadas like this and educate others on their arts. It is their duty and ours is to utilise their services in building temples irrespective of the fact whether someone offers support or not. This is my wish. All of you should lead a peaceful life. Bhagavath sevai is essential. Lead a pure life without thoughts, habits, practices such as getting bribes for casting your votes. Elections have corrupted the entire nation. Of course, in the old days, some were bad but now all seem to be bad. Give up this kind of life. Have faith in truth. Mahapurushas have set an example. Harichandra swore by truth whatever the problems. Bhishmar stuck to his vow. Likewise Dharmar did not deviate from dharma. Our hearts will ever remember their lives if we read or listen to their life stories. This will cut at the roots of bad thoughts. It is not enough to enact laws. Lawmakers themselves do not practise what they preach. They themselves are corrupt and taking bribes through the loopholes in a law. The situation is that if a higher pulls up his junior for taking bribes, the lower officer asks the higher – ‘How did you come up to this level? Only by bribing’. So corruption and adharmam are rampant now.How to eradicate this evil? We must create awareness against this evil by propagating virtues of life through discourses on the stories and lives of great souls. This is a very good medicine. We can lead a righteous life by prayers to God, protecting sastras, and inviting scholars for discourses on such sastras. Let us all pray to God for the success of this sadas as also for ‘loka kshemam’. Setting aside their personal work, scholars from different sects have gathered here to express as also to exchange their views. Each sastra must be supportive of the other. What is good in one must be absorbed by the other and not find fault in one another. 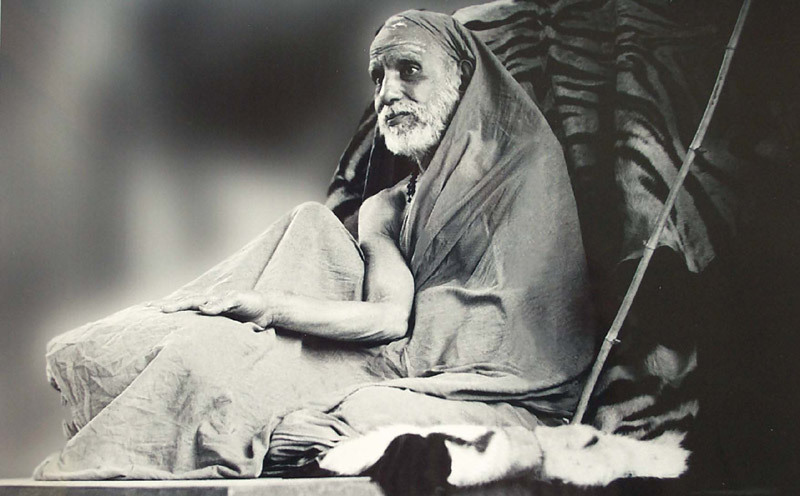 All sastras are ages old. Based on some historical data the age of one sastra should not be determined. Give no room for such a discussion here. All sastras must grow and must be complementary. This idea must be propagated. If there is unity of all sects, it will lead to loka kshemam. Atheism will then be wiped out and Iswara bhakti will be imbibed by all. At present, documents are registered in a sub-registrar’s office. Such an office existed 500 to 1500 years earlier. Temples were that office. Any public document or gift made must be registered there and a copy got. The king must be informed of any gift made and he would proclaim it. One official called ‘Thirumanthira olai’ would record whatever the king ordains. It then becomes officially registered. To inform the people at large it will be inscribed on stones in koils. At times, even copper plates will be used for the purpose-otherwise popularly known as ‘thamara sasanam’. Every temple will have a separate place called kshemam (which means protection) under the ground. There documents, grains, thamara sasanams etc will be preserved. In times of danger even vigrahas will be kept there and later taken out and installed in original places. Generally all gifts endowed for good causes will be inscribed in thamara sasanams and kept in kshemam. But a copy will be kept in houses and the palace. The words “inscribed in stones and copper plates” will be written in such sasanas. So a temple is similar to a sub-registrar’s office. Besides affairs relating to the temple, even digging of a canal in the village and settlement of a dispute between two parties will be inscribed on the stones. Since what is inscribed is permanent, there is an adage-like a sila sasanam. If anything has to be inscribed permanently a question will be asked: “Have you done thamara sasanam?”. We thankfully acknowledge the contribution of Sri.V. Srinivasan[pattu70@gmail.com] who translated the speech from Tamil to English for publication on the web.